Malaysia MCA president Chua Soi Lek bombarded Pakatan Rakyat on the banning of lottery tickets issue. 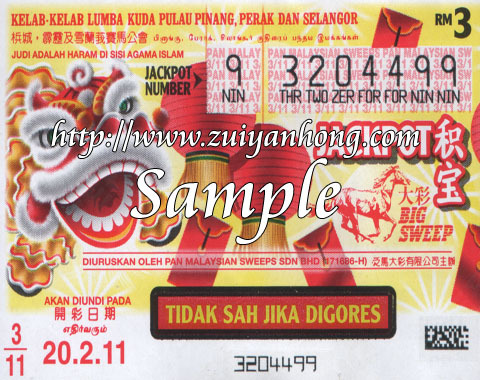 He threatened to sue Kelantan government which banned the selling of lottery tickets in Kelantan. Chua Soi Lek thought that he is the superman who wears underpants on the outside. He resolutely defended the rights and interests of Chinese in gambling. It seems that Chua Soi Lek is truly interested in gambling and spared no effort to promote it. Even the primary school pupils know the countless gambling harm but Chua Soi Lek supports gambling ecstatically. What's wrong with Chua Soi Lek? Since Chua Soi Lek is so devoted in gambling, why not names his party as Malaysia Chinese Gambler Association. If Chua Soi Lek dares to say no to UMNO regarding unfair policy, I would like to say he got guts. Otherwise stop the stupid political propaganda.